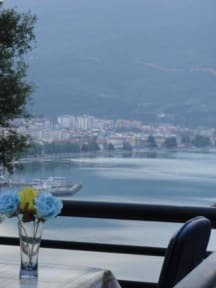 Accommodation J&T is situated in the elite part of the old town of Ohrid. Located in a clean, peaceful and quiet setting surrounded by nature. The villa has an amazing view of the lake and the city. 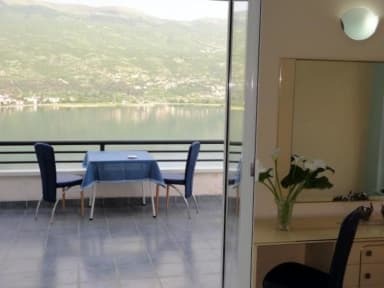 All rooms have a balcony overlooking the Lake Ohrid, separate bathroom, cable/satellite TV, coffee maker, fridge, free Wi-Fi connection, Air-Conditioner, towels, hairdryer and more! We look forward to welcoming you here!